​Leicester City have assured Claude Puel that his job is not under threat after the Foxes' recent run of inconsistent results. Following impressive victories over Chelsea and Manchester City in December, Leicester have since flattered to deceive, winning just one of their previous five games. Puel remains the bookies favourite to be the next Premier League manager to be sacked, with David Wagner, Brendan Rodgers and Rafa Benitez all being linked with the potentially vacant managerial role. 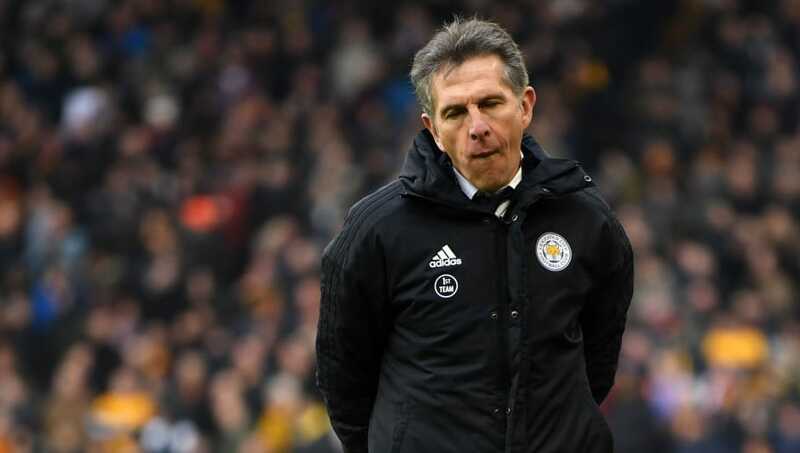 However, according to ​The Mirror, ​Leicester have told Puel that his job is not currently on the line and he will be given time to turn things around. Despite the recent poor results, there is little desire to shake things up at the King Power Stadium, particularly after the tragic events earlier on in the season which saw owner Vichai Srivaddhanaprabha lose his life in a helicopter crash alongside four other passengers. A successor to Vichai is yet to be officially named, but his son Aiyawatt Srivaddhanaprabha is still currently running the club behind the scenes. Leicester will be preparing for the visit of league leaders ​Liverpool next Wednesday and Puel has already urged his players to rediscover the form that saw them achieve success in December. “I think the most important thing is I want my players to have a rest, to recover physically and in their minds, and to come back with a smile, with the right intensity, hard-working in training sessions to correct things,” he said, as per The Guardian. “We need to manage our next game to have a fantastic challenge to create another upset."